Last week Google announced an upgrade of their inpage analytics reports in Google Analytics. They call the update "enhanced link attribution". This update is extremely useful for all analysts who try to get a better understanding of the effectiveness of a specific page on their website. The In-Page Analytics reports provide, in a page basis, the percentage of clicks from page to page in a website. The reports are an excellent way to analyze patterns of behavior, and can provide valuable insights to Joomla web designers and online marketeers. For example, they can be used to understand if specific links on a page are used or not and by which segments of visitors. A great case would be to check how often mobile users click on specific links as opposed to non-mobile users. As we can see below, by using Advanced segments we would see for each link the percentage of mobile vs. non-mobile clicks. on 05 November 2012 . 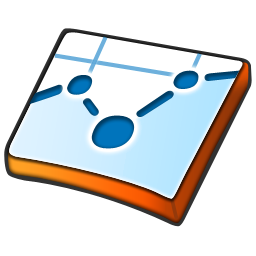 Over the past two years we have developed a sophisticated Google Analytics plugin with many useful features. Last week I discussed one of our favorite features, tracking clicks to external websites with Google Analytics. Another feature which is often used, is tracking downloads of different types of documents with Google Analytics. We wanted to make sure the feature works straight out of the box, without any hasstles setting it up. Like all of our plugin features, we make sure that advanced users and beginners are all able to understand how our plugin works and get excellent use of the plugin.